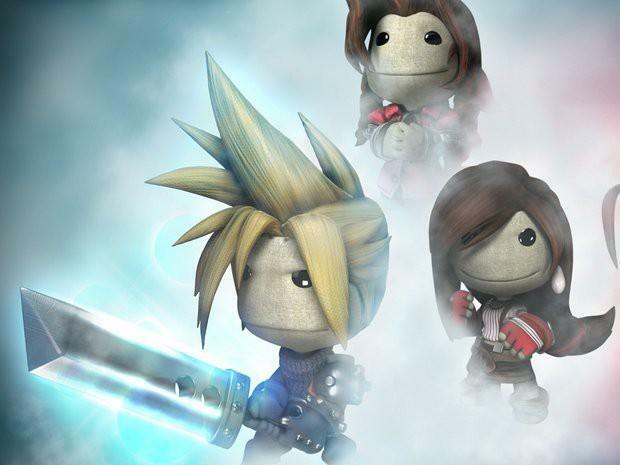 Who needs Square Enix to remake Final Fantasy VII when we have a dedicated fan doing it in LittleBigPlanet 2? Jamie Colliver has dedicated two years of his life to recreate the JRPG classic using Sony's game creating software. He claims with Eurogamer that he has fit the entire story across 31 levels including a battle system and the game's popular side missions. "I believe it's the first full game remade start to finish in LittleBigPlanet's creator. I already have a battle system with Limit Breaks in place, every cut-scene/dialogue, all five material types using creatinators, all of the soundtrack, every character, boss, enemies and a world map." And if you don't believe him, his YouTube channel sports over a hundred videos of footage from his game just like the one above. Check these out and prepare to be amazed. And with this, it seems like it's time for me to pony up and finally buy LittleBigPlanet. I thought the Symphony of the Night remake in LittleBigPlanet 3's beta test was impressive, but this is something on a whole other level. The "battle system" is a little awkward, but it captures the spirit and visuals of the game perfectly. Colliver's creation is playable on the PlayStation 3, PlayStation 4, and PS Vita through LittleBigPlanet 3 and LittleBigPlanet 2 on the PlayStation 3 (and PS4 for LBP3).